More versatile, classier and even more car-like to drive than the previous model. Chain cam petrol engines. Much improved from 2004 onwards. Side-hinged tailgate doesn't open wide enough wihout Jap market mod illegal in Europe. Diesel DMF problems. Petrol auto ECU problems. Replacing the parking brake cables requires removal of the fuel tank to gain access. 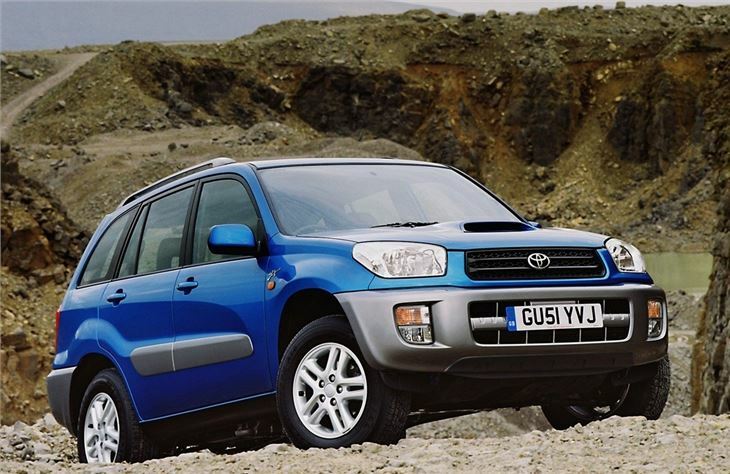 The original Toyota RAV 4 was the first real ‘sports' 4x4. It looked chunky, yet drove and handled like a Golf GTi. Not surprisingly, women loved it because they could sit a bit higher yet still go quite quickly and not have to bother about clipping the odd kerb. It wasn't, and still isn't, a serious off roader. The rear suspension arms that help it handle properly hang low where they're a bit too vulnerable to rocks. 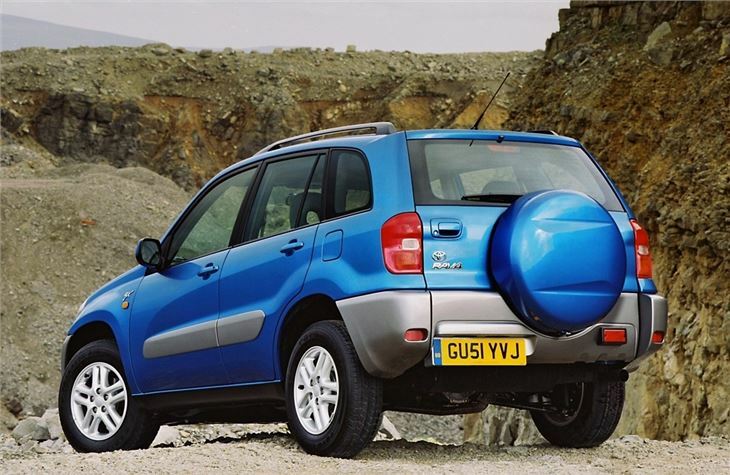 And, though the original RAV-4 manuals had a push button centre diff lock (the automatics locked automatically), now none of them do. The funky styling that looked good on the 3-door (especially in yellow) was less successful on the 5-door and has now given way to a more conventional but arguably much prettier look. The spare wheel is still hung on the tailgate and the rear load lip is still usefully low so little dogs can hop in and out, but the RAV 4 is now has a much classier and I like it a lot. One of the best cars that I have ever owned. Unreliable and nothing but trouble.